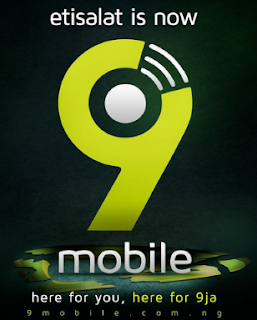 9Mobile formerly known has Etisalat has unveiled a new logo and a new website. 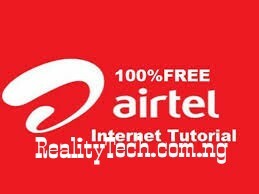 Recall that Etisalat Nigeria ran into trouble over N541 billion debts owed a consortium of banks that include Access Bank PLC, Zenith Bank, GTBank, FirstBank and other foreign banks. The intervention of the Nigerian financial and telecoms regulatory authorities had helped to prevent a major stricture that could have erased jobs and the integrity of the two sectors. Both the Central Bank of Nigeria and Nigerian Communications Commission (NCC) said they are still studying the situation. The NCC has assured that there would be no negative impact on subscribers and on jobs. The telecoms firm retained the ‘9janess’ by invariably deciding on ‘9’ in 9Mobile. 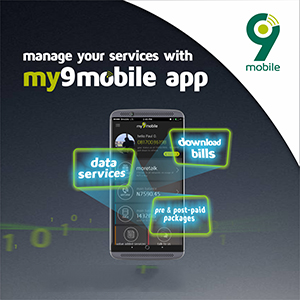 On the choice of “9”, 9mobile explained thus as gathered byBrand Spur Nigeria. 9 is significant with nature, the start of life, time of birth. From our entry into the market 9 years ago to our evolution 9 years after, we are still 0809ja.We are here for you, rebranded for you because it is all about you.9 stands for speed, quality, excellence. If you’re looking to the future, you find it with 9.9 gets you talking more, doing more, achieving more & living more9mobile made changes to its online presences as shown in the pictures below. 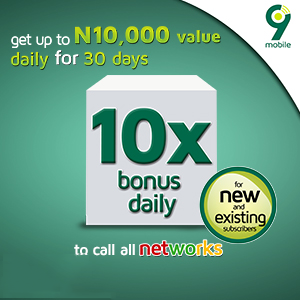 Their special offer for all new and existing customers is still available on 9mobile network. Get up to 10 times the value of your first recharge daily. 9Mobile said that we should be expecting moretalk, morecliq, moreflex, morelife, moretunes, morecredit, morebusiness, moreblaze. Also, we are expecting possible data rebranding. What do you think about the new logo and the new website?